Eric Nixon - Football - Hamilton ManagementHamilton Management - Hamilton Management is a talent management agency exclusively representing a wide range of actors, experts, presenters, sports personalities and broadcast commentators.The company was founded in 2012 by Alan Hamilton who successfully managed and worked with TV personality Craig Phillips for 6 years 2005-2011. 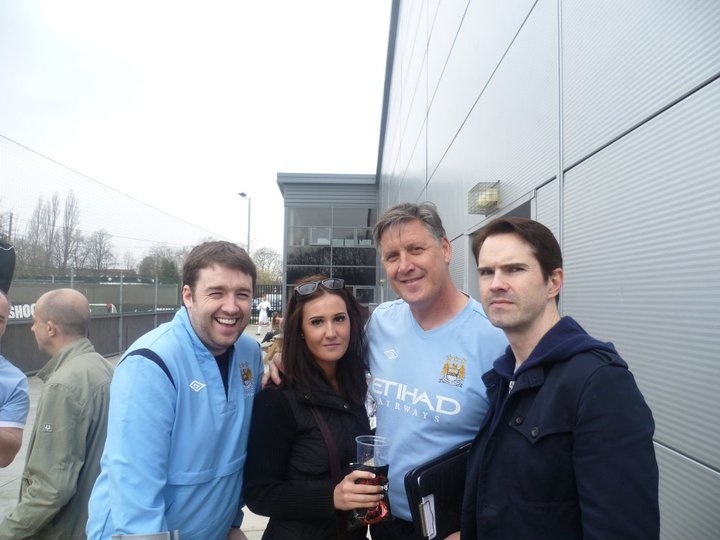 Eric Nixon is a highly respected former Manchester City, Tranmere Rovers & Stockport County goalkeeper. In a 22 year career, he made over 500 league appearances. He achieved the rare distinction of playing in all 4 divisions of the Football League in a single season. He is a UEFA & FA qualified goalkeeping coach who has completed successful spells with Tranmere Rovers, Macclesfield Town & Fleetwood Town. He is a football ambassador & pundit, widely acknowledged as a legend of the modern game. He is the new goalkeeping coach at Chesterfield FC for the 2013/14 season. Having played for several clubs throughout his colourful career there is no one more passionate, opinionated and dedicated to football as Eric Nixon. He remains a respected former pro and is available for broadcast match commentary, expert analysis, views ,opinions,interviews and column writing contributions to publications. Eric is a regular contributor to the Liverpool Echo & BBC Radio Merseyside. Eric Nixon’s playing & coaching spells with several clubs playing alongside and against some of the best players in the country have made him a popular after dinner speaker. His warm, lively and entertaining after dinner speeches, provide an opportunity to gain an insight into the pride and passion, professionalism and determination involved in being a successful goalkeeper. Eric’s experiences of more than 22 years playing and over 8 years coaching give him a unique perspective into the modern game of the past 30 years and he recalls some superb stories of playing and being managed by the likes of John Aldridge, Mark Hughes, Mark Wright, Gordon Strachan, Oliver Bierhoff, Christian Vieri, Dean Saunders and legendary Manchester United keeper Harry Gregg. Eric delivers a gripping account of the highs and lows of competitive football. Eric Nixon is available for motivational speaking which can be tailored to suit sporting or business audiences in addition to educational audiences and young people.Each presentation is tailored to suit the audience and your needs. Due to his high level of coaching certificates Eric is available for goalkeeping workshops helping to improve aspiring youngsters skills whilst motivating & inspiring them to achieve their career / life goals by dwelling on his own wealth of experiences in professional sport & business. Eric is often approached to recommend or endorse football & fitness products & is available to support corporate and product endorsements. Eric is available for venue openings, personal appearances, product launches, golf days, corporate support, educational & football motivation. Eric still dons the gloves for special 5 or 6 a side legends / masters events in addition to playing or appearing at footballing & charity events. Born in Manchester, Eric Nixon began his career in 1982 at Non-League club Curzon Ashton from Ashton-under-Lyne in Greater Manchester. In December 1983, he signed for Manchester City having walked in off the street and asked for a trial!He made 84 appearances in 5 years at the club, and was sent out on loan 5 times. And it was with 4 of those loan spells in the 1986–87 season that he achieved the rare distinction of playing for a club in all 4 divisions of the Football League in a single season. In August 1986 he went on loan to Wolverhampton Wanderers in the 4th Division, making 16 league appearances. 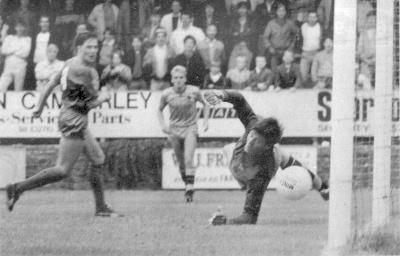 This was followed by short loan spells at Bradford City, who were then in the 2nd Division, in November 1986, & Southampton, in the 1st Division, in December 1986. The following month he went out on loan, this time to Carlisle United, who were in the 3rd Division, where he made 16 league appearances. 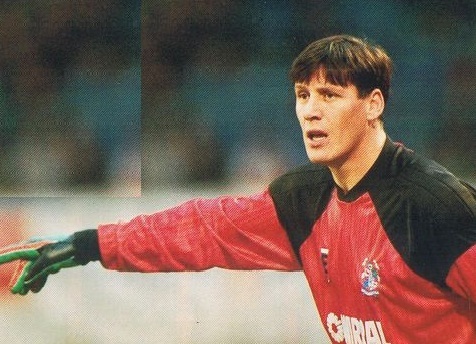 Nixon’s final loan move while at Manchester City came in March 1988, when he went to Tranmere Rovers making 8 league appearances. 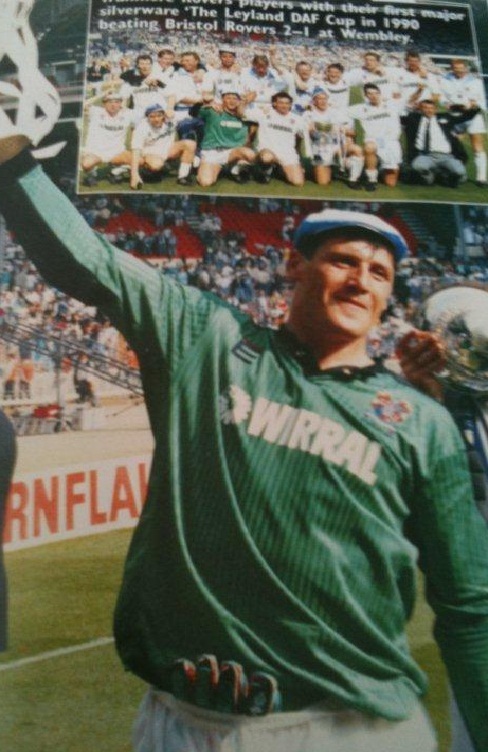 Eric Nixon signed for Tranmere Rovers permanently in July 1988 going on to 432 appearances, including 333 league appearances over 9 years, and was with the club during their rise from the 4th Division to the 1st Division play-offs in 1992–93. 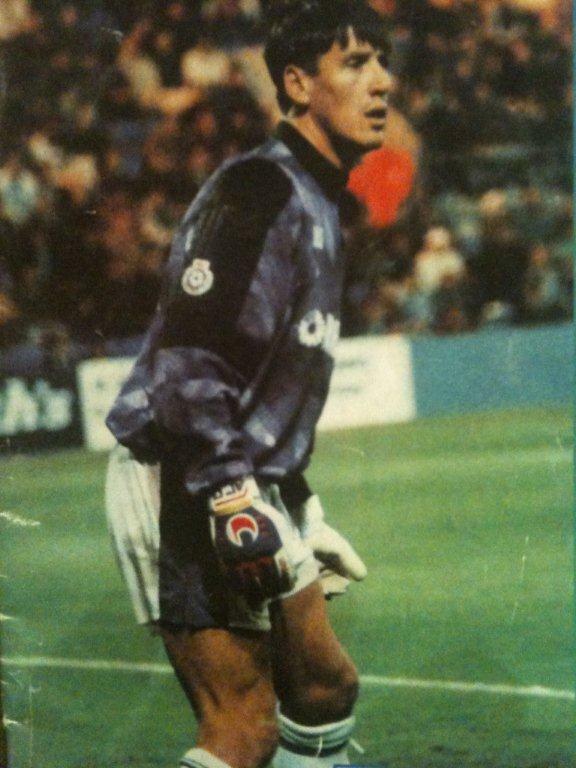 In the 1988–89 season he kept 25 clean sheets, which still stands as a club record for the most clean sheets in a season. Eric was also a part of the team that won the Leyland DAF Cup in 1989–90, beating Bristol Rovers 2–1 in the final at Wembley. 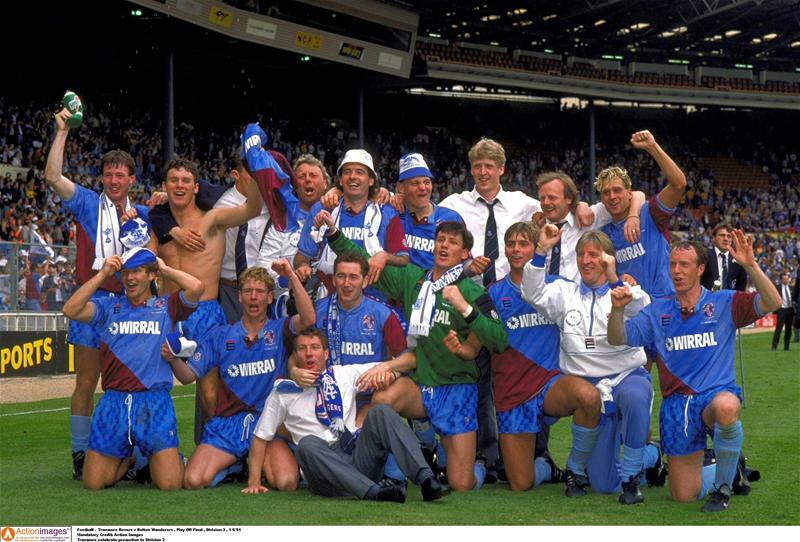 He was part of the Tranmere Rovers golden squad, playing in a time during which the team reached the Coca Cola cup semi-final in 1994 and the play off’s to reach the Premiership for 3 consecutive years. In 1996, Nixon was sent out on loan three times. In January he joined Reading; the following month he was loaned to Blackpool, for whom he made 20 league appearances; and in September he spent a second spell at Bradford City, making 12 league appearances. In August 1997, Nixon was signed by Stockport County. In 19 months he made 42 league appearances, & he was also sent on loan again, this time to Wigan Athletic in August 1998, before signing for them permanently in March 1999 on a free transfer. 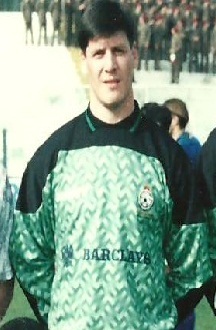 However, his time at Wigan was short-lived, and in July he was back at Tranmere Rovers for a 3rd time, on another free transfer, where he stayed for a further 4 years, becoming a part-time goalkeeping coach.After focussing on coaching, Nixon spent a short loan spell at Kidderminster Harriers in October 2001,for whom he kept 3 clean sheets in 3 games.On his return, he signed non-contract terms with Tranmere. In August 2002, he again signed as a non-contract player with the club to provide goalkeeping cover. The 2002–03 season was his testimonial season & his testimonial match was played at Prenton Park on 6th August against Manchester City.When he played in goal against Crewe Alexandra in September 2002, Nixon became the oldest player to ever play for the club. Nixon’s final club was Sheffield Wednesday, for whom he signed on a free transfer in July 2003, and where he was used as a goalkeeping coach,making 1 league appearance — on 27 September 2003 against Grimsby Town.His spell with the club was spent coaching 3 days a week, and spending 2 days back at Tranmere Rovers coaching. 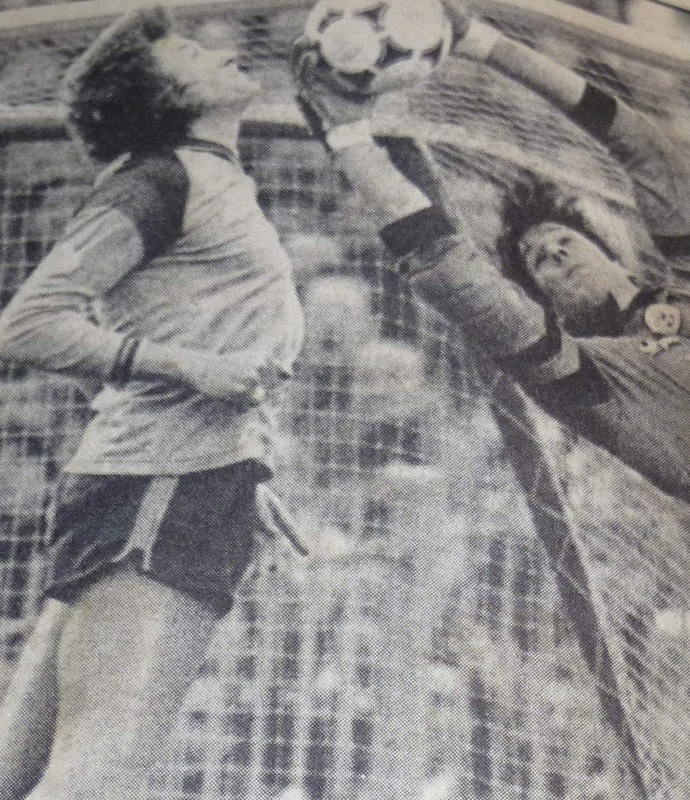 While he was still playing, Nixon had started working towards gaining his goalkeeping coach licence. He has completed successful spells as full time goalkeeping coach with both Tranmere Rovers until 2006 and later Fleetwood Town 2008-2011. 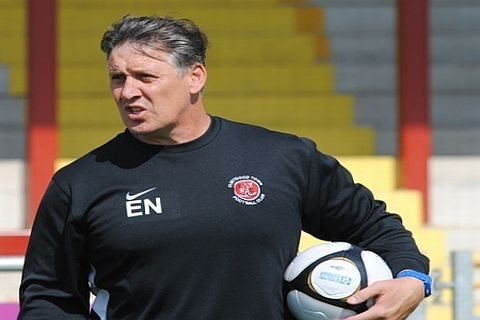 Eric Nixon holds both a UEFA goalkeeping coaching A license and a UEFA football coaching A licence.In addition to running his own gym for a number of years he also provides goalkeeping and football workshops to people of all ages and abilities. He has played several times at charity Soccer Six events and at masters football tournaments representing both Manchester City and Tranmere Rovers. In 2012 he released his acclaimed autobiography ‘Big Hands Big Heart’ and completed several booksignings at some of his old clubs and several outlets of Waterstones. In July 2012 Eric Nixon became new goalkeeping coach at Macclesfield Town FC.Following a successful spell with Macclesfield, Eric joined Chesterfield FC as their goalkeeping coach for the 2013/14 campaign. 2007 – Honoured for outstanding service to Tranmere Rovers as winner of the Dave Russell Award at the annual Liverpool Echo Sports Personality Awards in Liverpool.